2. What rule hath God given to direct us how we may glorify and enjoy him? 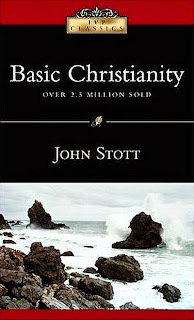 Christianity is not instinctive to anyone, nor is it picked up casually without effort. It is a faith that has to be learned, and therefore taught, and so some sort of systematic instruction (catechumenate) is an essential part of a church’s life. In the first Christian centuries there was a steady stream of adult converts and enquirers, and catechetical instruction took the form of lectures, given at their level. The Reformers’ strategy for revitalizing a Christendom that was ignorant of Christianity led them, however, to concentrate on systematic instruction for children. During a century and a half following Luther’s pioneer Little Catechism of 1529, literally hundreds of catechisms were produced, mostly though not exclusively for the young. Some of these were official church documents, others the private compositions of individual clergymen. The English Prayer Book catechism, the Heidelberg Catechism, and the Westminster Shorter Catechism are among the best known. Probably most Protestants today associate catechisms and catechizing exclusively with nurturing children and would not think of presentations like C.S. Lewis’s Mere Christianity, or Billy Graham’s Peace With God, or John Stott’s Basic Christianity, or G.K. Chesterton’s Orthodoxy, as catechetical, because they are written for adults. But inasmuch as they are intended to instruct outsiders and establish insiders in the fundamentals of the faith, catechetical is their proper description. One great need today is a renewal of systematic Christian instruction—catechetical teaching—for adults. It need not be called that, nor need it take the form of rigid drilling in preset formulae, which is how old-time Protestants taught their children; but somehow or other, opportunities must be given for folk in and just outside the churches to examine Christian essentials, because there are so many for whom this is a prime need. Preaching often does not help them, for preaching ordinarily assumes in both speaker and hearers confident certainty about the fundamentals of the faith, and where this is lacking, sermons are felt to be remote and even irritating because of what appear as their unexamined assumptions. But the proper place for examining, challenging, and testing the intellectual ABCs of Christianity is not the pulpit, but rather the systematic instruction given in catechetical teaching—at least, so Christian history suggests.